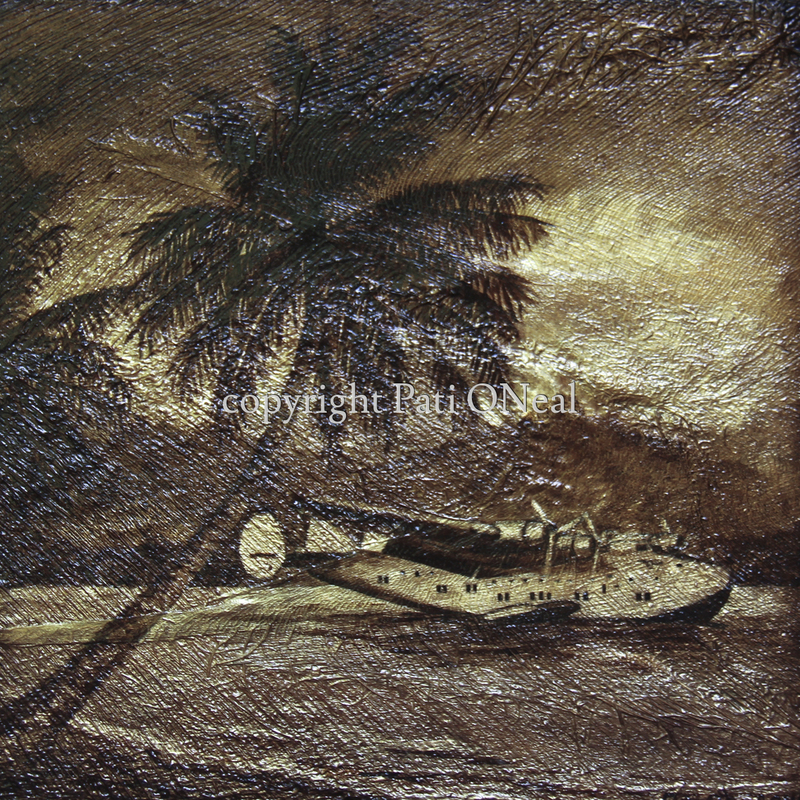 This painting done on actual coconut tree fiber (guinit) depicts a Boeing 314 amid tropical coconut palms. This aircraft was also known as the California Clipper, the Honolulu Clipper or the Pacific Clipper during the Golden Age of Aviation. With the advent of their flights, the dream of exotic locales became known to the masses and a reality to a chosen few. These Clippers and their travels are still looked upon as the true essence of the romance of flight. Original available, contact the artist for purchase.